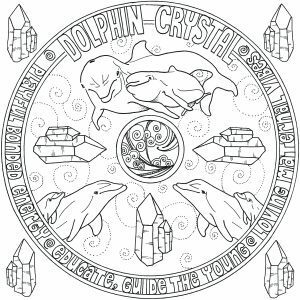 The crystal mandala coloring books came about as a way to make understanding the “anatomy” (form and structure) and “physiology” (function) of quartz crystal both easy and fun. 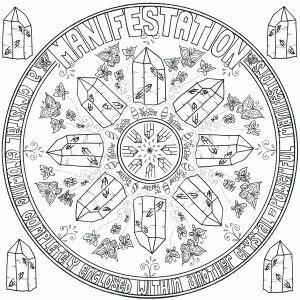 While the crystal mandala coloring books ARE for coloring, they are really much more than that. They are learning books, relaxing books, a way to make learning about quartz crystal metaphysical properties and shapes easy. TAKE A LOOK INSIDE THE BOOKS! 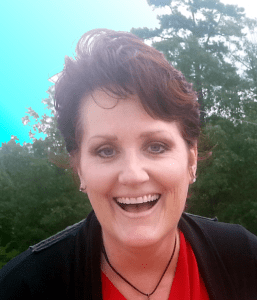 Swing by my blog at crystalgenn.com and look at all the designs in these books (the link will open in a new window or tab). These are hand drawn mandala coloring books. The mandala coloring books measure 11 x 11 and there is a separate design for each of 46 different types of quartz crystal. These mandala coloring books are all coil bound to lay flat for effortless coloring. There are two copies of each crystal type so you may color one and leave the other in the book as a reference. VOLUME IV (click to see inside) S-Y: Scepter, Self Healed, Sheet, Smoky, Tabular/Tabby, Transmitter, Trigonic Record Keeper, Twin/Soulmate, Left Activation Window (Time Link to the Past), Window (Time Link), Right Activation Window (Time Link to the Future) & Yin/Yang crystals.